The RB-HD6 6 Way Headphone Distribution Amplifier. The RB-HD6 headphone distribution amplifier is a 1U rack-mount which distributes stereo audio to up to 6 different sets of headphones, or can be used as 6 independent headphone amplifiers, each with their own input and volume control. 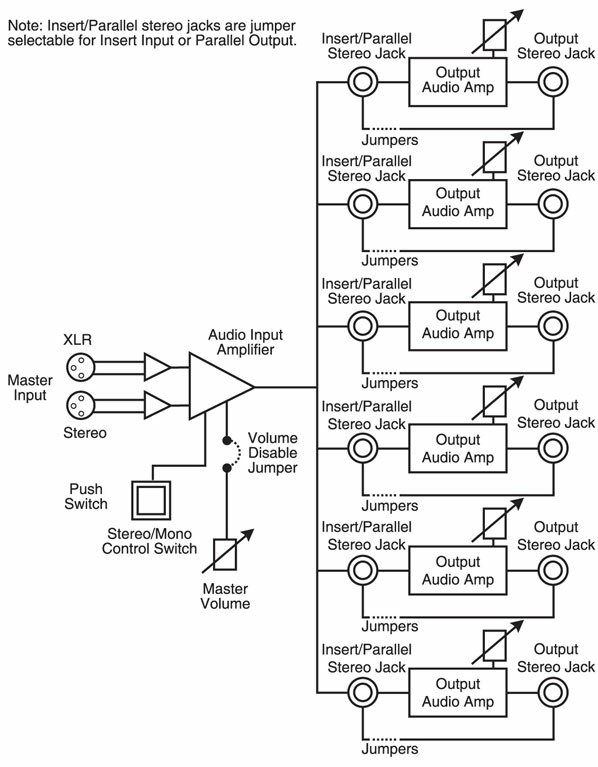 A typical application might be to provide common headphone feeds for guests in a radio studio, with a separately derived feed, perhaps including talk-back, for the presenter.